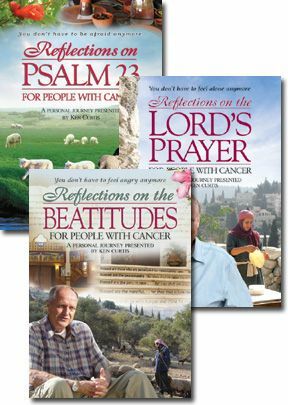 This series of meditations on The Lord’s Prayer, the 23rd Psalm, and the Beatitudes with Dr. Ken Curtis, founder and former president of Vision Video and Christian History Institute, is based on a holistic approach to coping with cancer. When he was diagnosed with advanced cancer and given little hope for survival, he pursued a combination of traditional and alternative medicine, undergirded by a strong spiritual dimension and prayer support team. While made particularly for people facing the crisis of cancer, the reflections are relevant for any health crisis, or for anyone wanting to apply these Scripture passages to their lives. These programs are co-productions of Vision Video and EO-TV Holland, UCB-TV England and Nazareth Village. Each DVD includes optional English subtitles, a companion guide in PDF, and bonus material related to the passage of Scripture. 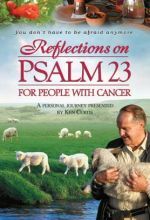 Reflections on Psalm 23 for People with Cancer -- For this video Ken Curtis went to Israel, home of David and the Psalm, to be with the shepherds, travel "through the valley of the shadow of death," and explore and enjoy the healing powers of the green pastures and still waters. The resulting meditations provide a combination of candid personal experience of what it means to battle cancer and some of the spiritual resources available through this time-honored Psalm. Thirteen 8-minute segments. 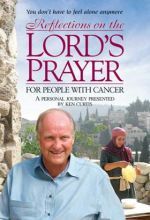 Reflections on The Lord's Prayer for People with Cancer -- Join Ken on this journey into the world of The Lord's Prayer from original locations important in the life of Jesus. The Lord's Prayer is not just a way of praying. It's a way of "seeing." When the prayer is grasped and uttered from the heart, it can -- and will --change us. We realize how we are not alone, no matter how difficult or seemingly hopeless our situation. Even in our pain, there can come a joy and a feeling of rightness about our world. Ten 8-minute segments. 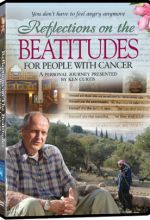 Reflections on The Beatitudes for People with Cancer -- For this episode, Ken visits fascinating sites in Israel, among them the location traditionally said to be where Jesus gave the Beatitudes. This brief collection of sayings about blessedness or happiness provided the opening to Jesus’ Sermon on the Mount. Ken explores the richness and depth of the Beatitudes to challenge us to find blessedness out of our brokenness, a most difficult task for those who are confronted with cancer or any life trauma. Along the way he shares his own journey in dealing with advanced cancer, including the process of sorting through various treatment options which often went beyond the traditional methods recommended by doctors. Ten 8-minute segments. I have been using "Reflections on Psalm 23" in both my cancer support groups the last two months and the response has been phenomenal! Every single person loves them! They love the music, the scenery, your message--everything! I knew I really liked them, but my groups are quite diverse--men, women, all ages, caregivers, various "levels" of belief, all kinds of cancers and stages of it--so I wasn't sure how everyone would respond. The DVDs make it SO easy for me to do the group now because it's always hard to come up with something rather short but very inspirational. You have done it! I will be getting my webmaster to add them to my website and have been listing them on every list of resources I've been asked to make (including the American Association of Christian Counselors and its new DVD series "Challenging Cancer" supposedly coming out any day now.) I'd like to see my church offer these DVDs as a quarterly adult class and know that they would bless people in any trial--whether cancer or not. Thank you so much. What a blessing these are and will be to so many people. Thank you for your sacrifice to make them. I pray that your health holds up and you are able to keep bringing God much glory. I am teaching the last lesson on the Psalms 23 DVD tonight and it's been a wonderful journey with the ladies in our cancer support group. Your work has been great and I love the pdf files to help guide me. These are great tools to help those who are on the cancer journey. And the most amazing thing happened at last night’s support group; one of the ladies with advanced breast cancer asked Jesus into her life! I still get goosebumps when I say it. We prayed with her and it was amazing. I praise God for bringing her to our support group and being able to walk with her during this journey. The next step is to start the Lord's Prayer and next year we plan to do the Reflections on the Beatitudes and I can't wait. Then I'll start back with Psalms 23. By the Grace of God I don't have cancer. I watch Australian Christian Channel most days and today I was blessed to see the above program in its entirety! I just have to purchase a copy of the video as it is an absolute must for ALL people not only those with cancer. I am in months of becoming a pastor and I am already working with people in a mentor and pastoral role. I also run workshops on a variety of issues, this will be high on my list for my next get together. Praise God and thank you so much Ken for this wonderful series. I am currently printing up the study notes as I type this. KEN, MY PRAYER FOR YOU IS THAT GOD CONTINUES TO USE YOU IN ALL THINGS. YOU AREN'T GOING TO HEAVEN YET, KEN, WE NEED YOU HERE ON EARTH. MAY GOD BLESS YOU ABUNDANTLY!!!! We are grateful to Vision Video for producing such a moving DVD which will have far reaching, positive effects in the lives of many people. It draws them closer to the Good Shepherd Himself and helps them realize that they are not alone on their journey. Thank you for the hope, strength, support and inspiration this DVD is offering to people who often feel frightened and alone suffering from cancer. I found it very inspiring for me personally and good for people who do not even have cancer, but would like to reflect on Psalm 23. May God bless Vision Video and the work you are doing. Anna Hogan - This Brings Psalm 23 Alive! I highly recommend this DVD. I am a cancer survivor and a Christian. I found this excellent in every respect. After watching it myself, I bought copies to share with other Christian cancer survivors for the purpose of comfort and encouragement. Because it includes an evangelistic message, I have used it to share the Lord with those who have cancer but aren't saved. Production is excellently done. Beautiful scenery set in the Holy Land. Ken, himself a Christian with advanced cancer, truly understands. His testimony is powerful. This DVD brings Psalm 23 alive! Please do not hesitate to try it. You will be blessed! The Reflections on Psalm 23 class is the most successful class Pastoral Care has taught here at Cancer Treatment Centers of America in Tulsa ... and we're looking forward to another one with Reflections on the Lord's Prayer. People are gaining a great deal from the class and feel it is effective in helping them with their cancer. Reflections on Psalms 23 is the love of Christ Jesus at work today, in the life of this cancer patient. It was for me, the heart of the Father reaching out to comfort, as I dealt with a hardship beyond my ability. Ken Curtis is a man acquainted with my suffering and who offered to share this place and time with me, like no one else had. It is an effort to express an understanding, and an offering to share the truth of God's Word as a quiet walk through David's beautiful song. The soothing message, "You are not alone," gave me strength to do battle even as I lay suffering. Beautiful scenery, calming music, and truth that stands eternal, moved me through confusion and fear, with faith. I prayed with it, meditated with it, cried with it, and with it I moved forward. I played it over and over again allowing the Lord to minister to me. It is a tender work of compassion filled with hope that I personally embraced. I am beginning a spiritual support group for people with cancer. I ordered a copy of this DVD to possibly use during the group sessions. I am amazed at the insights each video session brings into the covered portions of the 23rd Psalm. The script is very soothing and comforting...a must have for people facing cancer. I highly recommend this DVD. After watching this video I found that it confirms some insights I have gained from this Psalm also. Although I am not a cancer patient, this video gave me the inspiration to search out people who need encouragement as they go through this difficult time. I do not want any public notoriety or recognition for sharing these videos with people who need to be reached. This presentation is indeed so inspirational. I have given the only copy I have to a friend co worker who is also suffering from cancer. Eli Lorenz - Reflective and soul searching. These three DVD teachings are deep and powerful. As we are told to slowly savor our food and wines these words in these 3 DVDs presentations can be savored over and over for deeper meanings. Even random playing of chapters gives insight. The phtography is inspiring and awesome. Every church and messianic synagogue should have these in their libraries. The Reflection Series is a beautiful gift to people with cancer or any other disease. God has blessed us with the personal journey of Ken Curtis. God does not lie and His words shared with us in these videos remind us that we are NOT alone and we don't have to be afraid. God is as close as a heart beat , a whisper or a prayer. I look forward to seeing Him face to face when it is time and to Thank Him for His mercy and goodness. I will look forward to meeting, His servant, Ken, as well. I love the videos you guys make! I love you! P.S. I am the niece of Bill Curtis!